Mark Neufeld (18B) (LEFT) and Vineet Tiruvadi (19M) (RIGHT) were elected Graduate Student Government Association (GSGA) president and vice president, respectively. UPDATE (3/27 at 3:58 p.m.): The story has been updated with quotes from Mark Neufeld (18B), who was previously unavailable for comment. UPDATE (3/25 at 10:30 p.m.): The story has been updated with quotes from Vineet Tiruvadi (19M), who was previously unavailable for comment. 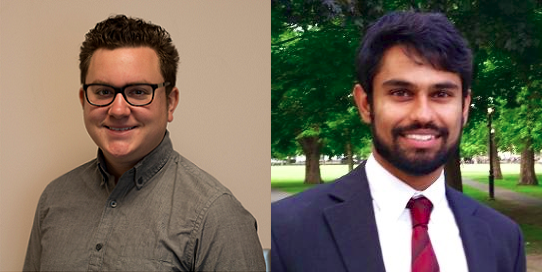 Mark Neufeld (18B) and Vineet Tiruvadi (19M) will serve as the next Graduate Student Government Association (GSGA) president and vice president, respectively, according to Deputy Chief of Staff of GSGA Monique Clark (18L). Less than 6 percent of all graduate students voted in the GSGA elections. Neufeld, who ran unopposed, received 351 votes in his favor and 23 votes of no confidence. He is currently a Goizueta Business School Representative on GSGA. Tiruvadi received 256 votes to clinch the vice presidential position, while his opponent Jim Kwon (20G) received 118 votes. Neufeld said that “the most important thing is [to] start connecting with the divisional councils, making sure that I understand what their experience looks like and what I can do to make it better.” The GSGA president-elect hopes to create more cross-divisional GSGA facilitated events, expand shuttle hours and “embed Emory students into the fabric of the Atlanta experience,” according to his platform. The GSGA president-elect hopes to create more cross-divisional GSGA facilitated events, expand shuttle hours and “embed Emory students into the fabric of the Atlanta experience,” according to his platform. Tiruvadi said he was “very excited to work with everyone and get GSGA up and running” when he found out about the election results. “I think a lot of what we’re going to try to work toward is making GSGA an organization that everyone feels engaged with,” Tirvadi said in reaction to the low voter turnout. GSGA President Jared Greenbaum (17B), who has worked with both Neufeld and Tiruvadi, said he is confident in the president-elect and vice president-elect’s abilities given their past experiences with student government. Greenbaum declined to comment on what Neufeld has to work on in terms of the GSGA-SGA split transition because the process is ongoing. Greenbaum commended Tiruvadi’s dedication to ensuring that Laney students’ voices are heard, pointing to the example of the monthly town halls he started. The two worked together this past year when Tiruvadi served as the Laney Graduate School senator on the University Senate. Neufeld and Tiruvadi will serve as president and vice president-elect, respectively, for one and a half months and officially transition into their official titles the week of April 23, according to Greenbaum. 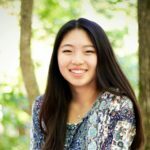 Although Kwon lost the GSGA vice presidential election, he still plans to participate in student government, possibly on the Laney Graduate Student Council. Although Christopher DeVore (19PH) originally opposed Neufeld in the election, DeVore dropped out of the GSGA presidential race March 21. DeVore said he will continue to serve on the GSGA Legislature as a Rollins School of Public Health representative.